Willow Bench Books, 9780997581003, 380pp. Kathryn Gordon's cozy rural life falls apart when her adult daughter, Heather, is diagnosed with ovarian cancer. While Kathryn researches alternative cures, including communicating with a dead Scottish ancestor, Heather Gordon makes a heroic journey to Scotland with an ex-boyfriend she still loves. 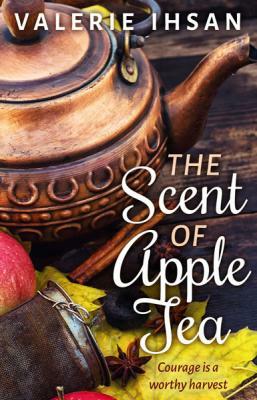 The Scent of Apple Tea is a story of wanting what you can't have, and finding the courage to live and love the life you're given. If you like reading about strong female protagonists and scenic foreign lands, you'll love Valerie Ihsan's debut contemporary women's fiction novel. Buy today and transport yourself to the quaint farmlands of Oregon's Willamette Valley and the lush lochs and villages of the Scottish Highlands.